Scent Swirls Fragrance Collection by Renuzit - A new line of home fragrances with "a trio of delightful aromas, swirled together for a vibrant fragance experience." This new 2018 collection includes Renuzit Cones in the trio scents of: Green Apple, Cherry, and Sandalwood; Plumeria, Coconut, and Pineapple (also in Pearls); Peach, Freesia, and Garden Mint; or Vanilla, Apricot Blossom, and Almond. Renuzit Pearls scents include: Blue Sky, Linen, and Pear; Serenity Lavender, Eucalyptus, and Jasmin; Sparkling Rain, Lotus Flower, and Morning Dew; or Tranquil Raspberry, Brown Sugar, and Blackberry. 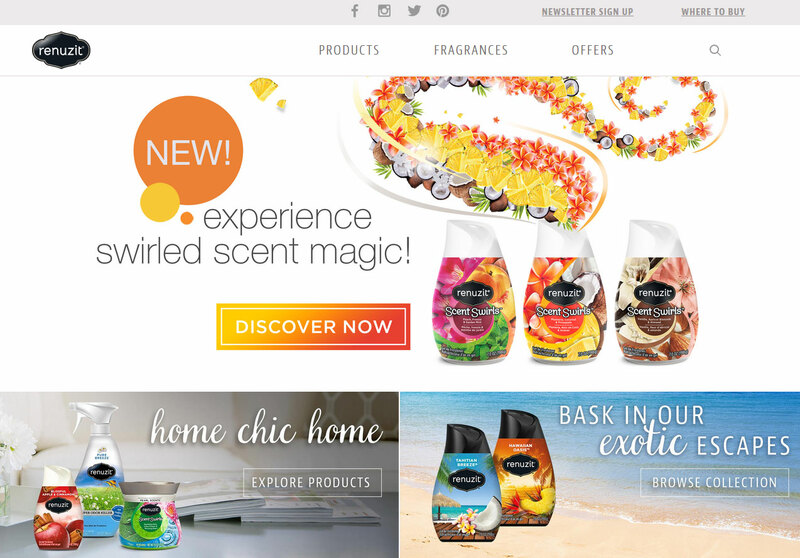 The Renuzit Scent Swirls home fragrance edition is available at Target, Walgreens and Walmart. New! 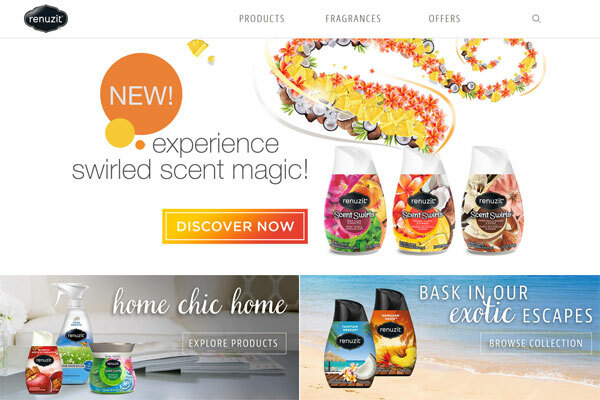 Experience swirled scent magic! A trio of delightful aromas, swirled together for a virbant fragance experience. A refreshing fragrance of sweet peaches with floral hints and a splash of mint for a delightful combination. A sweet, floral combination of coconut, pineapple and plumeria for a scent that pops. A refreshing fragrance with hints of lily of the valley and spearmint. Embrace the fresh scent of lavender, eucalyptus, and musk in this relaxing fragrance. A sweetly tart fragrance with raspberry, brown sugar, and blackberry.